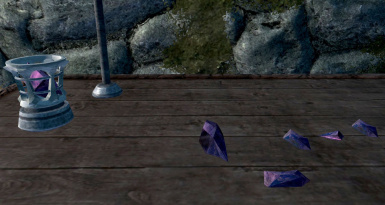 Minor addition to the soul gem crafting feature of Skyrim Recycling by TWGorilla which allows for use of Soul Gem Fragments to craft soulgems. Skyrim Recycling Will not work without this mod. Minor addition to the soul gem crafting feature of Skyrim Recycling by TWGorilla which allows for use of Soul Gem Fragments to craft soulgems. Obviously requires Skyrim Recycling by TWGorilla to work.